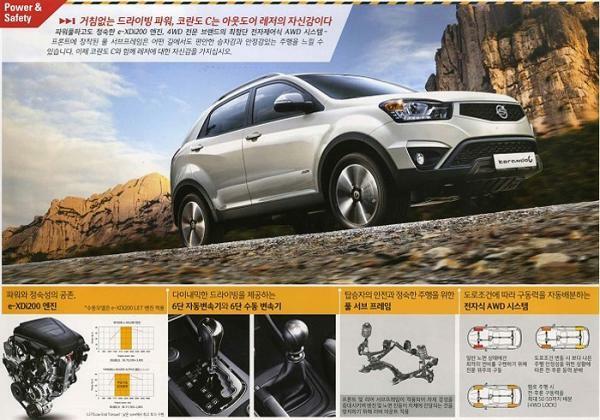 The 2014 SsangYong Korando, the next product from the originally South Korean brand, now taken over by home grown Mahindra & Mahindra has now been fully revealed through leaked brochures. The facelifted images now show that the front fascia has completely been changed and the car overall looks much better than the previous one. 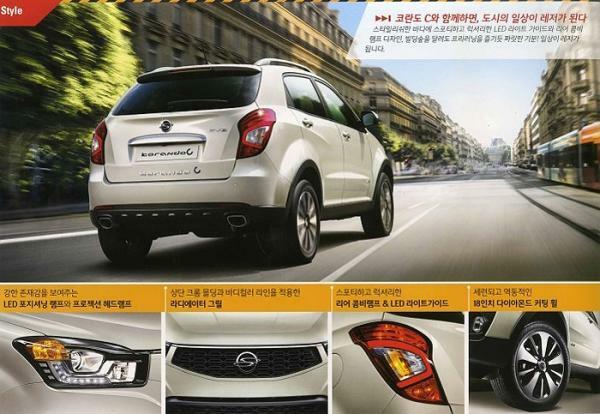 The new headlamps, grill and bumper along with a new SsangYong logo lends it a much more upmarket look. The tail lights at the rear also gets some change. 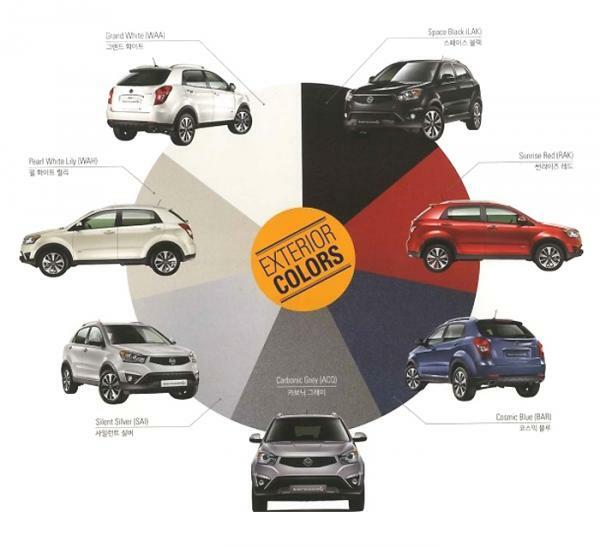 The brochures also reveal that the new car would be revealed in 7 exciting colors - Grand White, Pearl White, Cosmic Blue, Sunrise Red, Space Black, Carbonic Grey and Silent Silver and three alloy wheel designs to choose from. The 2.0 litre diesel engine exists in two states of tune – 149bhp 175bhp. 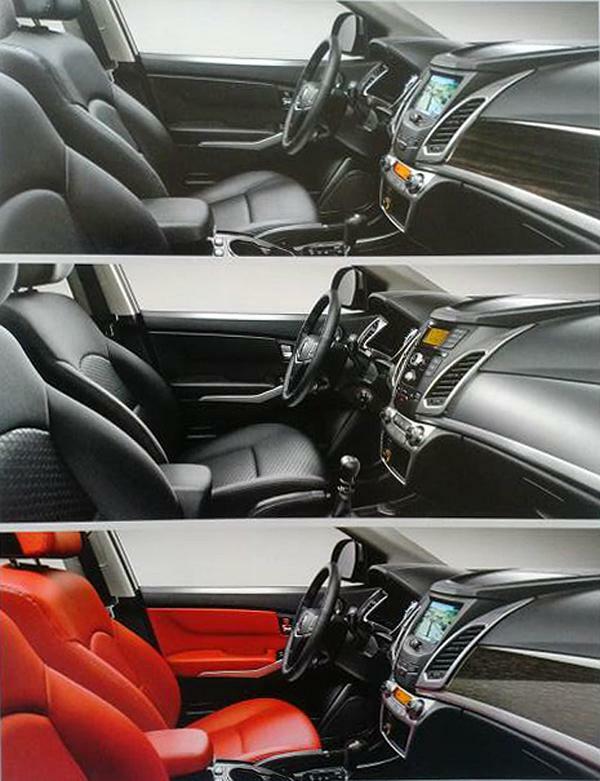 It can be paired to a 6-speed manual or an automatic transmission. 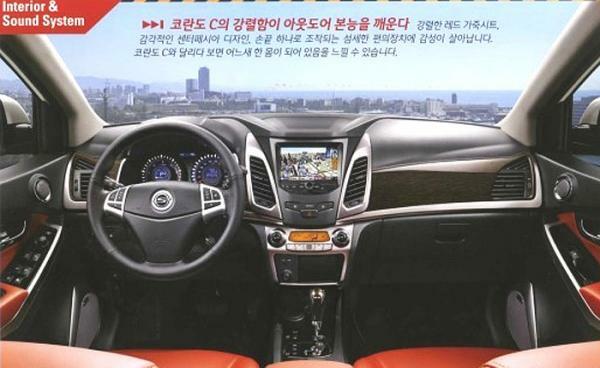 The brochures have already been revealed which also means that the new car could be revealed as soon as during the upcoming Frankfurt Motor Show in September 2013.